Groupama Asigurari, Romania, has achieved its customer service goals while cutting costs and speeding up innovation. 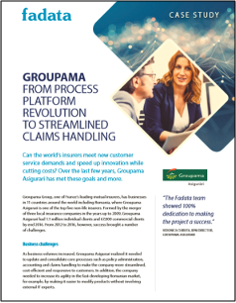 Read their story to find out how they went from process platform revolution to streamlined claims handling. Complete the form to download your copy of the case study now.